One of the greatest pleasures of Texas cuisine is the King Ranch casserole. I’ve written about it extensively over the years. At one point I got a little hot under the collar when a food writer penned an article on Serious Eats about this classic Texas dish. That piece is here http://www.scrumptiouschef.com/food/index.cfm/2010/2/10/The-Rules-of-King-Ranch-Casserole . That of course begged for a King Ranch casserole recipe to be penned. I did so here http://www.scrumptiouschef.com/food/index.cfm/2010/2/23/Cut-and-Shoot-Texas-King-Ranch-Casserole-Recipe . I’m not much of one for entering recipe contests [they’re almost always rigged] but I did once enter a New York Times competition with my take on the classic. I did not win. Thereby proving my point about them being rigged. I have a deep and abiding love of Texas cuisine as it’s a shining beacon that people the world over look to for hope and sustenance in times both good and bad. 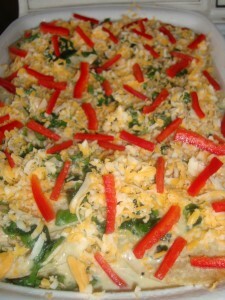 I’d love to hear from someone who tries my King Ranch casserole recipe. This entry was posted in Texas Daily Photo and tagged Austin, corn tortilla, scratch tortilla, texas, Texas Daily Photo. Bookmark the permalink.